Now in its 18th year, Kaye Communications provides successful market-relevant assessment, development and implementation of successful, integrated consumer and business-to-business marketing communications and public relations programs for multiple industries ranging from healthcare, tourism and hospitality, legal, financial, retail, real estate and entertainment to public-private partnership, arts and culture, government agency and nonprofit. Initiatives have included branding; destination marketing; product and service launches; community engagement; relationship cultivation; crisis management; event development; e-marketing, and print, broadcast, online and social media relations. How have we impacted the success of organizations in a variety of industries? Introduced, re-branded or repositioned several national brands within Florida, including Cartier, California Pizza Kitchen, Boston Market, Old Homestead Steak House, and Loews South Beach. 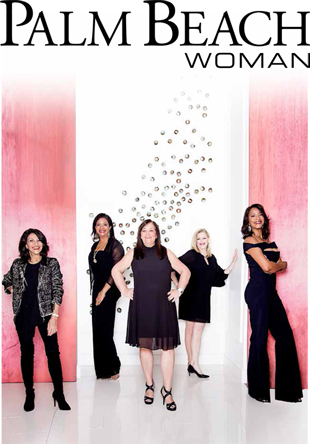 Represented hospitality icon Boca Raton Resort & Club with more than 14 years of strategic initiatives including key launch support of Spa Palazzo, The Yacht Club and Morimoto; re-launching of the Boca Beach Club; and marketing of its Premier Club. Repositioned one of the Caribbean’s foremost resorts, the Radisson Aruba Resort, Casino & Spa through revenue-driving exposure of the property’s 2001 transformation and 2011 renovation and managed media and community relations for the re-invention and transformation of the iconic Boca Raton Bridge Hotel. Developed and integrated comprehensive PR & marketing communications campaigns for such leading healthcare providers as Promise Healthcare (16 hospitals) , Success Healthcare (two hospitals) and physician practices. Positioned client relationships for national brand exposure (as we casted Dr. Marta Rendon in a spokesperson role for Proctor & Gamble’s national ad and publicity campaign!). Branded and launched business/community/media outreach initiatives such as the VIPER Crime Prevention program by the City of Boca Raton’s Police Services Department; Downtown Boca: It’s Happening!, Meet Me On The Promenade: Downtown Boca and Brazilian Beat destination marketing for the Boca Raton CRA. Initiated and cultivated community and public-private partnerships for Downtown Boca, Charles E. Schmidt College of Medicine at Florida Atlantic University, Allianz Championship (A PGA Champions Tour Event), Town Center at Boca Raton, Wyland Living Green Fair, Women In Distress, March of Dimes, The Haven, American Cancer Society, and more. Delivered innovative news-making strategies such as Old Homestead Steakhouse’s $100 Hamburger Campaign that generated $1.7+ million worth of global broadcast media exposure plus Associated Press and other wire placements in 48 hours of debut. Developed national media introduction of Muvico Theaters’ industry trailblazing “dinner and movie” concept debut in Boca Raton that delivered NBC Today and other national consumer and business media. Continued to support expansion with grand openings in Memphis, Chicago, and West Palm Beach, Boynton Beach, and Estero/Bonita Springs (Florida). Introduced, positioned, and developed strategic marketing campaigns and sales development communications for luxury residential real estate communities, including Broken Sound Club, Mizner Lake Estates, Ocean Harbour Estates, The Grand Estate Collection, and Residences At Royal Palm Place. Executed the total rebranding of Royal Palm Place, including its repositioning for its evolution into a premier mixed-use village. 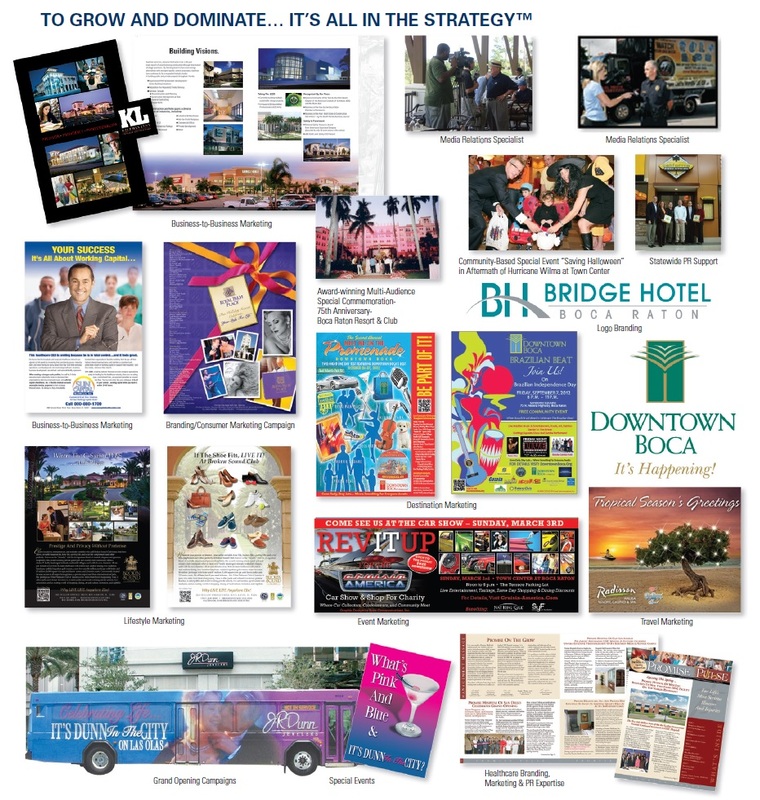 Developed visual, content, functionality strategy and site map, and built and managed www.downtownboca.org, an experiential destination website with official destination guide, aggressive SEO initiative, social media interface, niche market-targeted blog program, and multi-media and incentive campaigns to drive internet/mobile traffic. Secured 6,000+ personal greeting “wall of wishes” and significant news coverage for communitywide “Our Legend, Her Legacy”: 100th Birthday Celebration for Countess Henrietta de Hoernle.